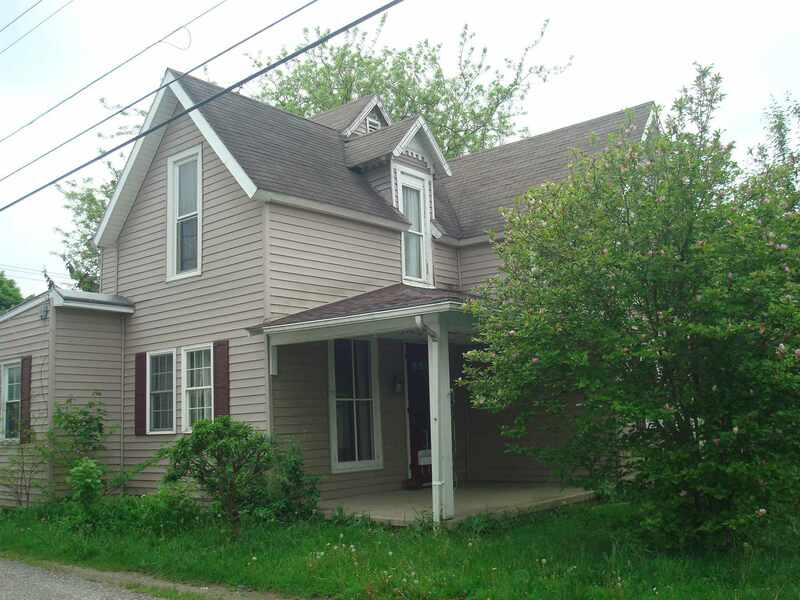 Large 4 bedroom, 2 full bath home with turn of the century charm. Natural woodwork and beautiful staircase. Home features 4 living spaces on the first floor with room to roam with electic baseboard. Kitchen with all appliances included. Large updated utility room with washer and dryer included. Second floor has all 4 bedrooms and full bath. All second floor rooms have newly wired baseboard heat fall 2018. Two covered porches, back deck and a fenced back yard. Large 2 car detached garage. Some new roofing , some new windows and vinyl siding. Selling "as is".